Based on J.D. Power data, owners of the previous-generation Kia Forte are bargain hunters. Price and value drive their purchase decision, from the appealing window sticker and ever-present rebates to the long warranty promising years of trouble-free driving. It helped that the Forte was a good-looking car, too. 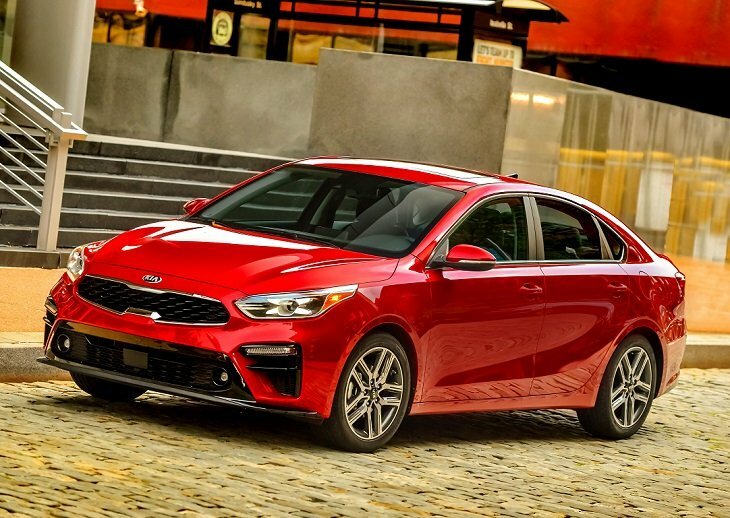 Now, the 2019 Kia Forte is completely redesigned, and the changes are dramatic enough to warrant greater consideration by a much wider audience. This is a terrific compact car, worthy of consideration on equal footing with the heavy hitters in the segment, the Honda Civic, Toyota Corolla, and Volkswagen Jetta. 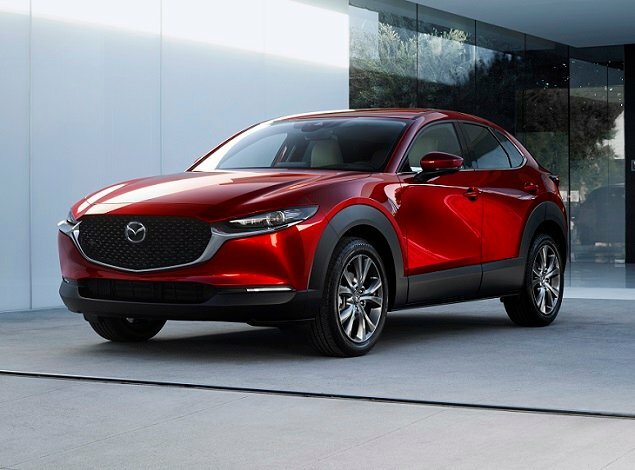 For 2019, four trim levels are available: FE, LXS, S, and EX. In 2020, new GT-Line and GT versions arrive, the former sport-tuned and the latter performance-tuned complete with a turbocharged 4-cylinder engine. For this review, J.D. Power evaluated a Kia Forte EX equipped with extra-cost paint, a Launch Edition Package, and carpeted floor mats. The price came to $26,445, including the $925 destination charge. Before we discuss the results of our evaluation of the Kia Forte, it is helpful to understand who bought the previous version of this compact car, and what they liked most and least about their Fortes. More than half of Forte owners are women, at 55%, compared to 45% for the overall segment. They are also slightly older (49 years of age vs. 48), and they make substantially less money in terms of median annual household income ($46,667 vs. $70,279). Forte owners, like all compact car owners, identify most often as Price Buyers. However, the percentage of Forte buyers doing so is higher, at 45%, compared to 39% for the entire segment. Only 2% of Forte owners identify as Performance Buyers, which might change in 2020 when the new turbocharged Forte GT debuts. Forte owners are price-sensitive. They are less likely to agree that they’re willing to pay extra for the latest safety features (67% vs. 72%) or for a vehicle that is environmentally friendly (53% vs. 56%). Fuel economy is important to them, with 86% agreeing that it is a first consideration when choosing a new vehicle (vs. 77%). It is less important to Forte owners to own a vehicle that stands out from the crowd, with 58% agreeing that they like this (vs. 65% for the segment). Similarly, more Forte owners agree that to them a vehicle is just a way of getting from place to place (57% vs. 53%). Versatility is less important, too, with 69% of Forte owners agreeing that they need such a vehicle for their busy lifestyles (vs. 75%). Surprisingly, 46% of Kia Forte owners agree that they prefer to buy a vehicle from a domestic company, compared to 42% across the segment. Owners report that their favorite things about the previous Forte were (in descending order) the fuel economy, exterior styling, interior design, storage and space, and driving dynamics. Owners indicate that their least favorite things about the previous Forte were (in descending order) the visibility and safety, engine/transmission, infotainment system, seats, and climate system. In the sections that follow, our expert provides his own perceptions about how the Kia Forte measures up in each of the 10 categories that comprise the 2018 APEAL Study. Like other Kia models, the new Forte has a distinctive and appealing look. It’s hard to get that balance right, but with the Forte Kia layers sporty design cues over tastefully tailored bodywork. All versions except for the FE get standard aluminum wheels, and the base wheel covers are attractive enough that the car doesn’t look cheap. This is a mainstream compact car, so there is plenty of hard plastic inside of the Forte. However, the places you’re most likely to contact with your hands and arms are soft, padded, and pleasing. Furthermore, the car is screwed tightly together, and the switchgear and controls convey a sense of quality. Equipped with standard front seat height adjusters and a fat-rimmed tilt/telescopic steering wheel, every version of the Forte provides the necessary tools to find a comfortable position. When you upgrade to the EX trim level, the Forte is equipped with Sofino leatherette, which has a pleasing Germanic look and feel to it, similar to the V-Tex that Volkswagen uses in its vehicles. Better yet, the Forte EX’s driver’s seat features 10-way power adjustment, and both front seats are heated and ventilated. Comfort is not as easy to achieve in the Forte’s back seat. The seat cushion lacks support, the backrest is reclined too much, and the front seatback panels are hard plastic. Taller passengers sitting behind taller front seat occupants are going to be somewhat uncomfortable. The Forte EX does provide rear air conditioning vents, which can help to soothe passengers on warm days. Dual-zone automatic climate control is standard on every version of the Forte, yet another example of the value to be found in this car. It is worth mentioning again, just in case you missed it, that heated and ventilated front seats are standard with EX trim. During testing in Los Angeles during winter, I had no issues with the climate system, except perhaps that the knobs could use a little more resistance to improve accuracy when changing temperature. Conditions did not tax the heating or air conditioning, though, so your results may vary. Kia mounts a standard 8-inch tablet-style infotainment display on the Forte’s dashboard, underlined by a row of knobs and buttons that control stereo and primary screen menu access. I like this approach, and there is a “star” button that owners can program as the shortcut of their choosing. I elected to make it a “Phone” button. Pairing my iPhone XS to the Forte’s Bluetooth was just about as easy as it gets. Included in the Launch Edition Package, a Qi-compatible wireless smartphone charging pad gets its own shelf beneath the climate controls, where it doesn’t take up valuable storage space. Apple CarPlay and Android Auto are standard in all Fortes, while S and EX trim add satellite radio, voice recognition and UVO eServices. Navigation and HD Radio are a part of the Launch Edition Package, along with an impressive 8-speaker Harman Kardon premium sound system with Clari-Fi digital music restoration technology. Kia provides a good amount of storage space in the Forte – just enough of it that you won’t feel like you require more. The trunk is positively huge for a compact sedan, measuring a generous 15.3 cu.-ft., and includes a grab handle to swing it shut without putting your hands on the outside of the lid. Seeing out of the Forte is no trouble at all. Fairly thin windshield pillars, big side mirrors, a reversing camera, and clear sightlines to the rear add confidence. Unfortunately, Kia reserves its blind spot warning system and rear cross-traffic alert to the EX trim level. From the driver’s seat, the Forte feels stiff and robust, in part because the underlying vehicle architecture is composed of 54% high-strength steel. The Insurance Institute for Highway Safety (IIHS) gives the Forte a “Top Safety Pick+” rating, the car earning top marks across the board with the exception of an “Acceptable” rating for accessibility of its LATCH anchors. To help this Kia’s driver avoid a collision in the first place, all Fortes include forward collision warning with automatic emergency braking, and a lane departure warning system with lane keeping assist. A Driver Attention Warning system is also standard, issuing suggestions for rest if it detects a drowsy or distracted driver. Blind spot monitoring with rear cross-traffic alert and lane change assist is exclusive to the EX trim, while the Launch Edition Package further adds adaptive cruise control, pedestrian detection, and rear parking sensors. For what is an entry-level compact, all of these systems work with uncanny sophistication and refinement. Through the driver information system, owners can also program sensitivity levels, activate and deactivate certain features, and more. Also, don’t forget that the UVO eServices technology included with S and EX trim equips the Forte with such features as automatic collision notification, SOS emergency calling, and safe teen driving functions related to vehicle speed, curfew, and geographic boundaries. Kia equips the Forte with a 2.0-liter 4-cylinder engine that feels more powerful than it is. 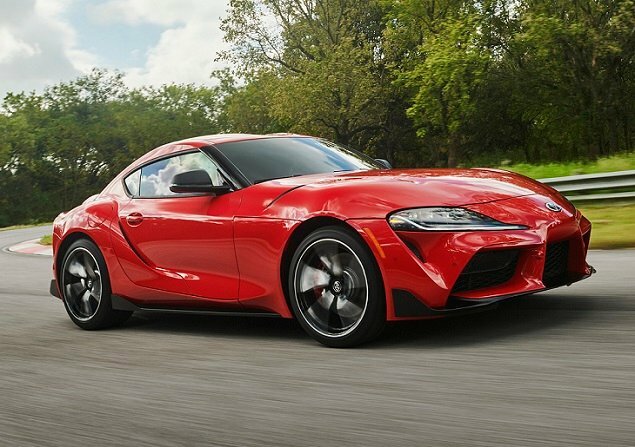 The engine makes 147 hp at 6,200 rpm and 132 lb.-ft. of torque at 4,500 rpm, and is paired to an “intelligent variable transmission,” a continuously variable transmission (CVT) that doesn’t behave like one most of the time. Occasionally, though, the droning and rubber band feel characteristic of a CVT does rear its ugly head. Drivers can choose between Smart, Normal, and Sport driving modes. Sport definitely adds liveliness at the expense of fuel economy, and weights up the steering in a way that I find a little unnatural. I prefer the steering weight supplied by Normal and Smart modes. If you’re so inclined to drive with enthusiasm (and you might be), an intuitive manual shift mode is pleasing to use for downshifts, but not upshifts. In fact, it simply draws more attention to the fact that this car has a CVT. On my testing loop, I averaged 31.3 mpg using Normal mode in city, Sport mode on the mountain 2-lane roads, and Smart mode on the freeway. Using Sport mode and exploring the Forte’s handling capabilities took a big toll on my observed number. The EPA says you should expect 34 mpg in combined driving, and that is exactly what the car was averaging during the 265 miles driven before I embarked on my testing loop. Kia evidently takes a sportier approach to suspension tuning with the Forte, which helps to mask the lack of ride and handling sophistication inherent in a torsion-beam rear axle suspension design. 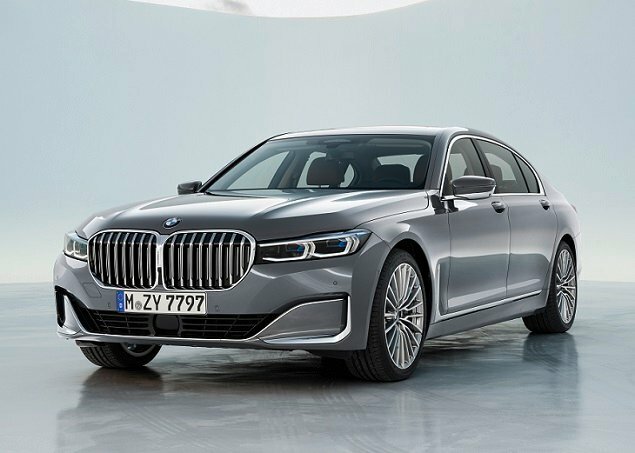 But that lack of sophistication is there, evident to people who can detect such things, and it’s the least pleasing aspect of the car’s driving dynamics. Fun and tossable, with excellent brakes and perfect pedal calibration, the Forte begs to be driven harder and faster – and it’s remarkably forgiving near its unexpectedly high limits. The car’s performance on a twisty road is all the more astonishing given the modest 225/45R17 Kumho Majesty Solus all-season tires on my test car. They suffered no squealing, and provided good grip. True, the steering isn’t what you’d call telepathic, but it is accurate. And while driving uphill is a bit of a drag due to the CVT and ultimate lack of power, going downhill puts a big grin on your face. Given what I experienced in the Forte EX Launch Edition, the upcoming turbocharged 2020 Forte GT ought to be a real blast to drive. Unfairly, Kia suffers an identity problem. When people think of Kia, they do not associate the brand with the stylish, high quality, technologically sophisticated vehicles that the company builds. Instead, they think about Kias of 15 years ago. That’s a shame, because the latest Forte is just as good as, and in some ways even better than, its competition. Kia Motors America supplied the vehicle used for this 2019 Kia Forte review. For more information about our test driver and our methodology, please see our reviewer profile.